Add a live free voice changer for Fortnite. Squad Chat Voice Trolling has never been so Funny. Voicemod is the definitive voice changer for Fortnite. Change your voice among the dozens available for free to troll in Fortnite voice chat. 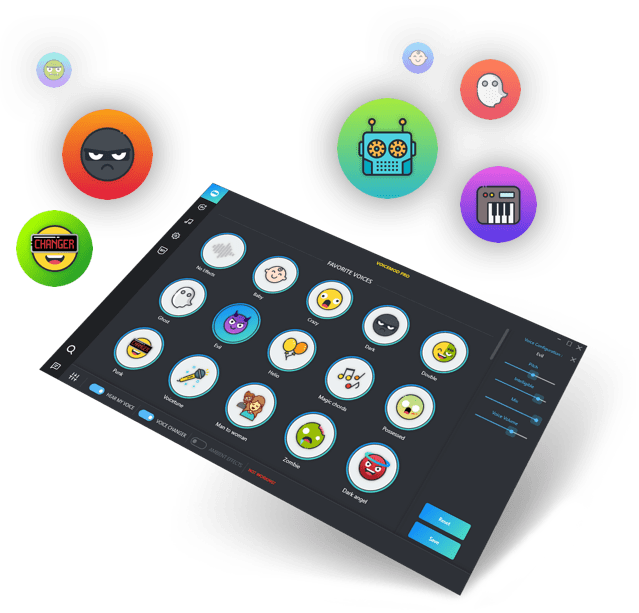 Play Fortnite on PC with voice changer and talk with incredible voices like robot, soldier or ninja and amazing effects like eco, auto-tune or zombie. Download Voicemod, the Fortnite voice changer in your PC and start having fun at another level. 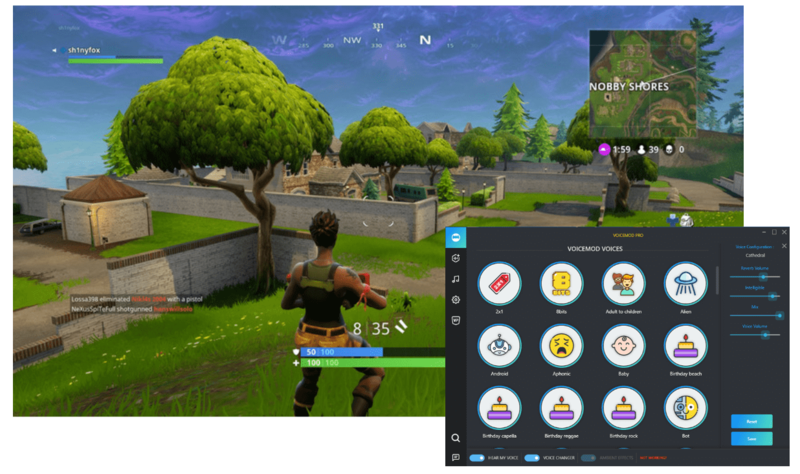 Voicemod is the best voice changer for Fortnite Battle Royale because it is an external program that works at the system level between your microphone and the Fortnite audio input. In this way, it processes your voice in real time and helps you change it to another. With more than 60 voices Voicemod is the voice changer for Fortnite with more voices on earth: Alien, Android, Baby, Cave, Children to Adult, Cop, Crazy ... Laugh and troll with your squad in Fortnite. Download & Open Voicemod Voice Changer App. Download Fortnite Battle Royale and open it. Using a voice changer with effects in Fortnite can serve to reinforce your voice, add a bit of personality or trick your team into the proximity voice chat of the game. You can also be a master trolling and create voice impressions imitating the voice of a kid, a grandpa or a mom. Voicemod is the best voice modifier app for Fortnite. Create hilarious impressions in lobby or in game. Choose the perfect voice and create the best trolling moments. Select from presets that simulate the voice of a girl, a kid, a mom, Rick & Morty, Ninja or Elmo. Trolling with a voice modifier in Fortnite has never been so simple. Try scary trolling effects, select the voice of Pennywise, use the sound meme creator... Turn your battles online into a collection of crazy impressions and funny trolling best moments! Just use the "push to talk" button and use the Trolling Voice Changer for Fortnite. In addition to being able to make impressions of a girl, a mom, Pennywise, a kid, Rick & Morty, Ninja or Elmo you will be able to reproduce the sounds that you want through the Proximity Chat. The trolling will never be the same again with Meme Sound Machine, the free Voicemod soundboard. With the audio soundboard for Fortnite you can load fart, air horn, anime or funny effects sounds. You just have to choose the WAV or MP3 files that you want from your PC. The best Instant Sound Buttons in the best soundboard for Fortnite. Use it in Lobby, in Game or After Death! Create your best moments by playing online.